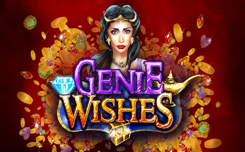 Genie Wishes is a new ten-line slot on mystical topics from the company Booming. Playing in genie wishes you immerse yourself in the wonderful world of mysticism, and also hunt for unprecedented treasures. The new slot machine has a bonus in the form of free spins and the function Wild Reel. 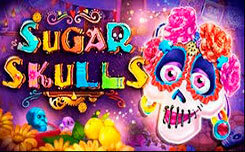 The game screen is located on the background of a mysterious castle in the moonlight, and on the game drums are two types of characters that fully correspond to the theme of the new video slot. Expensive symbols are a treasure chest, diamonds, a crown and gold shoes. Cheap symbols are standard and common to all 10, J, Q, K and A. The golden lamp symbol is a scatter that triggers the free spin game bonus. The game also has a wild symbol, which is depicted as a princess and replaces any symbol of the game, except for the scatterer. The wild reel function is active in the main game and works constantly, that is, each scrolling on the fourth game drum can appear only wild symbols or scatter symbol, thus, the chances of collecting a more profitable combination in the new slot are quite high.